Spiti valley bike trip itinerary should be planned and implemented methodically for anybody who likes to explore the mountains on two wheels. Nothing will feel better than venturing deep into the Himalayas on your own. Biking to Spiti is a magical feeling. It will stay with you for a really long period of time. However, to make the most of your trip to this part of the world, try creating an all-inclusive Spiti Valley bike trip itinerary. I say this because biking in the mountains especially the Himalayas is very different from riding in the plains. It is utmost important that you understand the terrain before planning a trip here. In fact, do it even before preparing the Spiti Valley bike trip itinerary. 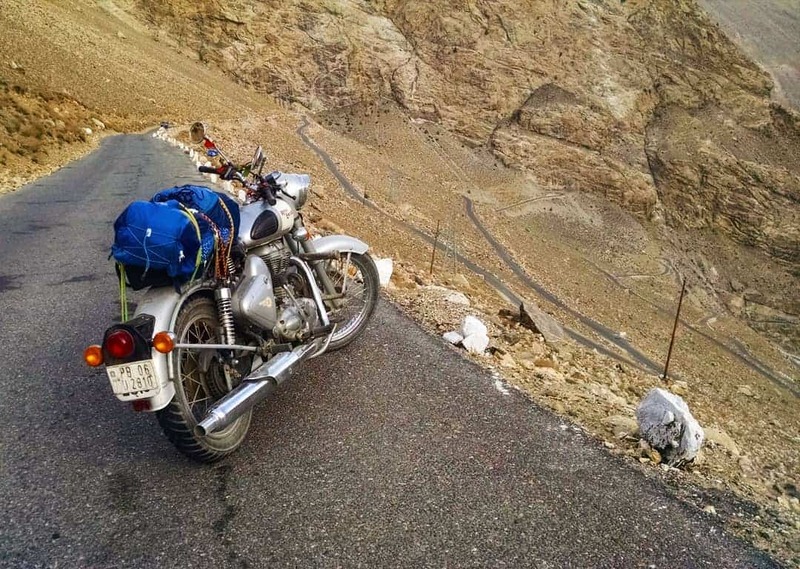 In the current Spiti valley bike trip blog, I will share a biker’s itinerary for Spiti. It will serve as a reference for all fellow riders who plan to explore Spiti in the near future. Also, my adventurous travel experiences from the Indo-Tibet’s middle land – Spiti will be shared with you. 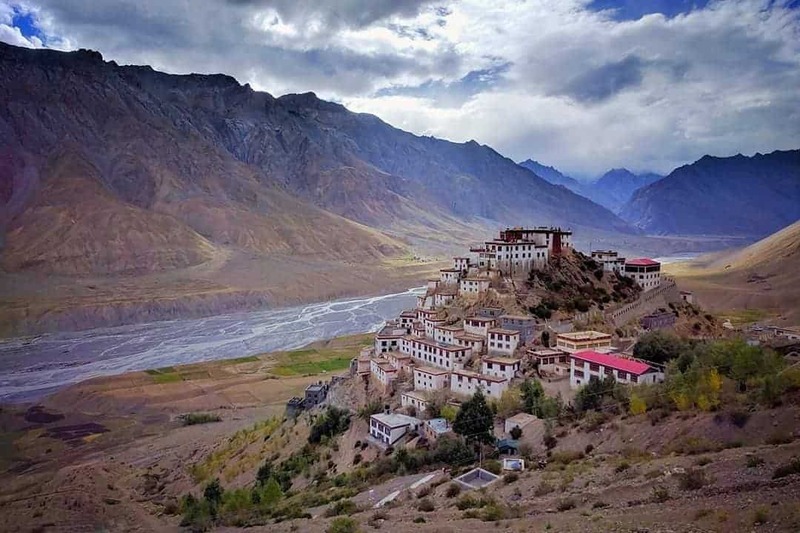 It will be impossible to prepare the Spiti Valley Bike Trip Itinerary unless you understand the terrain and other significant aspects of the place. Spiti forms part of the Himalayas located at an altitude of 3600 metres in the North Eastern Part of the Indian state of Himachal Pradesh. Shimla- Narkanda- Rampur- Powari- Puh- Chango – This route spans about 450 kilometres by road. Manali-Rohtang Pass-Gramphoo-Batal-Chandratal Lake- Kaza- This route spans about 220 kilometres by road. I undertook this one. Shimla- Narkanda- Rampur- Powari- Puh- Chango- Bikes are allowed only from June to October as Spiti receives heavy snowfall the other six months of the year. Manali-Rohtang Pass-Gramphoo-Batal-Chandratal Lake- Kaza- This route is open only from June to October and these six months are perfectly ideal to take a bike trip to this magical place. Which Bike to opt for Spiti? Royal Enfield (350cc and 500cc) or the Himalaya bike (popular as an off-road bike). There are many shops in Manali renting out bikes. The tariff ranges anywhere between Rs. 1500 to Rs. 2000 per day. A token amount of Rs. 5000 is taken as a security deposit. Get a carrier attached to the bike to keep your bag pack. Carry at least 3 litres of extra petrol along as the next petrol station after Manali is at Kaza which (200 kilometres from Manali). Also, make sure to cover your backpack with a plastic cover in case if it rains. “Difficult roads often lead to beautiful destinations” the quote perfectly fits the voyage from Manali to the land of serenity – Spiti. The bike ride to Spiti from Manali is definitely not for the faint-hearted but for adrenaline junkies. The thoroughfare is narrow and steep. It forges through the frozen streams and small rivers, spreads of asphalts rocks, snow and loose soil. Spiti Valley can be described as a surreal far away dreamland. This is because it is covered with tranquil landscape and verdant greenery on one side and barren desert and snow-capped mountains on the other. 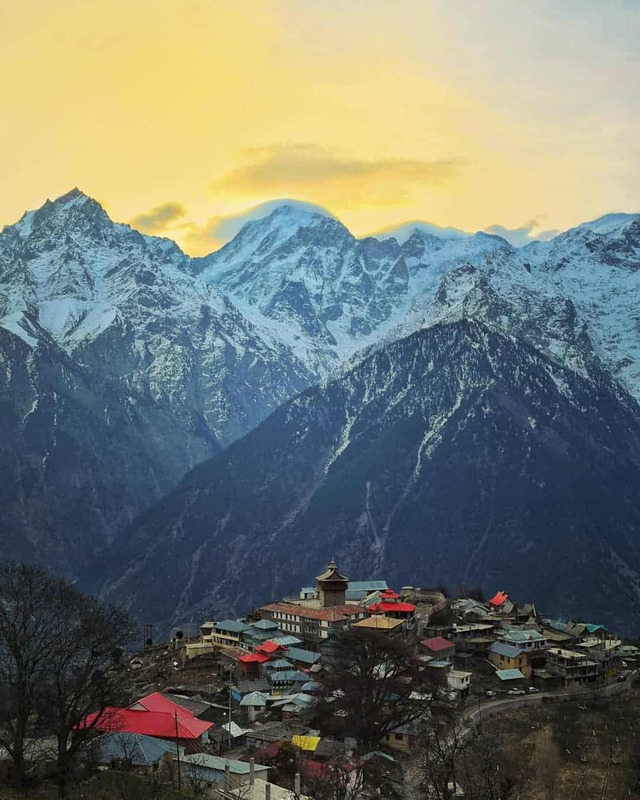 The celestial landscapes are crimped away high (elevated altitude of 3600mts) in the trans-Himalayan belt of Himachal Pradesh and are decorated with small villages and hamlets across the mountain valley. 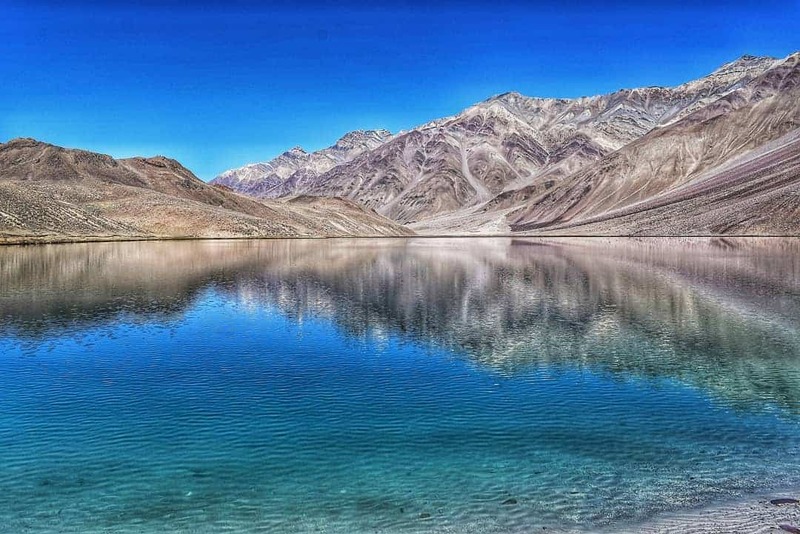 The name “Spiti” literally means “The Middle Land”. The place is named Spiti as it lies in between Tibet and India. The Valley is one of the least populated regions of India. This is because of the strenuous weather conditions, heavy snowfalls, deteriorating road conditions and minimal connectivity to the outside world. The culture and lifestyle of people living in Spiti is an identical image of those living in Tibet. It wouldn’t be wrong to say that Spiti is part of India with the flavour and essence of Tibet. 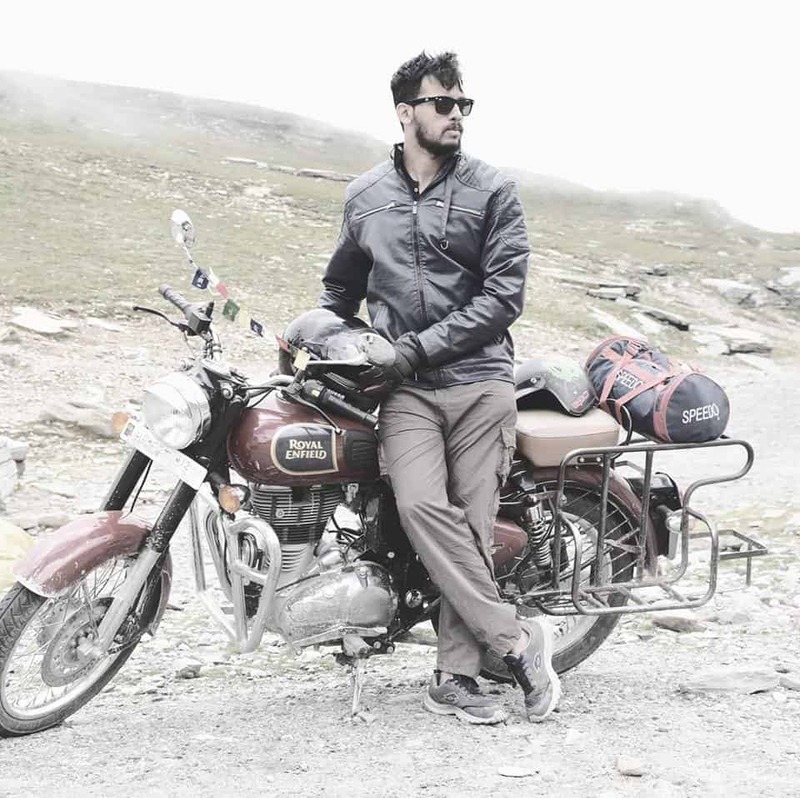 Riding amidst the Himalayas exploring Spiti has been one of my best moments. I will now elaborate on the day wise Spiti valley bike trip itinerary. All the places covered, accommodations bunked in and activities undertaken will be highlighted. I started my voyage early morning at 5:30 a.m in the month of October. The exhilaration of riding the Royal Enfield through the narrow ghats and beautiful landscapes cannot be put in words. In about 1 and half hour’s time, I reached my first halt i.e. Rohtang Pass. Rohtang Pass is a beautiful spot with mesmerising landscapes, snow clad mountains and wide blocks of ice. Besides the scenic landscapes, the Pass also holds strategic importance as it is an ancient trade route between the people of either side of the Pir Panjal range. I stopped there to admire the beautiful scenery and to grab some hot tea along with a plate full of Maggi. Since I had started off early empty stomach, I was quite hungry by the time I reached Rohtang. After spending about an hour at Rohtang Pass, I continued further on my voyage. There was a slight drizzle as soon as I left and I was enjoying the ride through the Ghats in midst of the drizzle. The drizzle soon came to a halt but the roads got steeper. I rode through the steep loose soils forging the freezing streams and rocks at about 4 degree Celsius. Tired and exhausted I reached Batal and that is where I found this gem of a place the Chandra Dhaba. The Chandra Dhaba – a small eatery is run by Dorje Bodh and his wife Hishe Chhomo. They are fondly known as Chacha Chachi and have been running this place for the past 44 years. They do it just out of love for the travellers. I was lucky enough to meet them personally. I spent some time at the Dhaba hogging on to some hot rice and daal prepared by Chachi, had a hearty conversation about their experiences of helping adventurers who get stuck during landslides and heavy snowfall. A visit to Chandra Dhaba is a must just to meet the lovely owners who have acquired legendary status. Listening to them while they share their experience while hogging on to some food is a delightful feeling. I then left for Chandratal Lake which is 14 km from Batal and my overnight halt for the day. The road continued to be challenging and uneven but I continued and finally reached Chandratal around 4:30 pm. Where to stay at Chandratal? There are no villages or people staying around Chandratal Lake so you have to stay at one of the campsites at some distance from the lake. I hadn’t made any reservation and so I had to look around for accommodation. 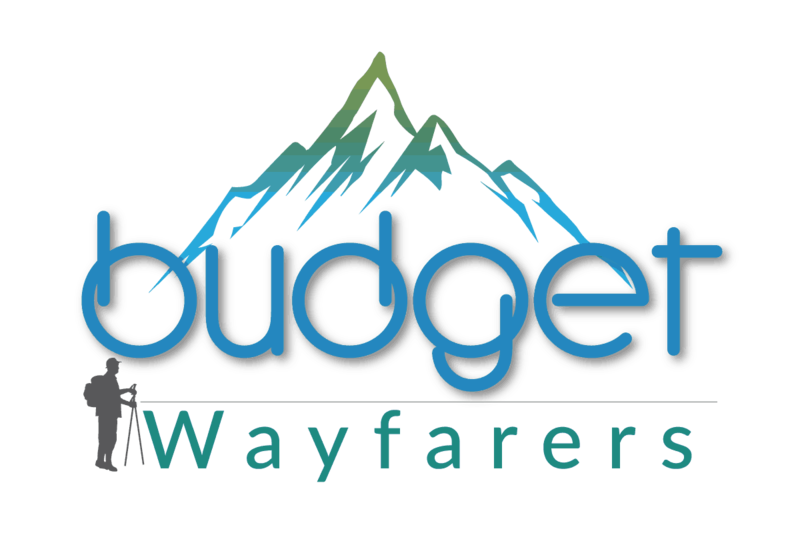 It is difficult to book budget stays online and only limited accommodation options are available. There are around 10 different campsites available near Chandratal lake that cost around 1500 INR (or more) per head per night. You can book it by a travel agent or after reaching there. You can check out a few campsites and pick the one that you like as I did. After some looking around I decided to settle for Parasol Camping site. The tents are comfortable and well maintained with blankets thick enough to counter the freezing cold. You can also choose from a list of other budget accommodations if you book in advance. The washrooms are well maintained. They served us hot daal rice for dinner. I had a fun time there with the bonfire put up in the evening, the stars shining bright and a friend playing his guitar and we all singing along. The next morning I got up early and trekked to Chandratal lake which was around three kilometres from the camping site. The lake is one of the most beautiful lakes in India and it is named Chandratal because of its crescent shape. I just sat by the lake inheriting the calmness of the place and admiring the picturesque beauty. After trekking back to the camp at Chandratal, I left for Kaza. It took me around two and a half hours to cover a distance of only 51 km. This happened after crossing the famous Kunzum Pass and finally, I was at Kaza. Where to stay in Kaza? 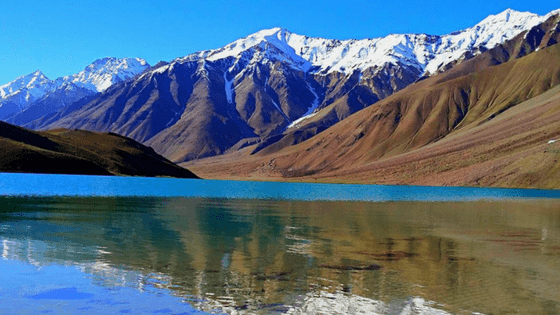 Kaza is a commercial Hub of Spiti and also the capital of Spiti. There are many budget hotels and budget homestays available around. We checked into this hotel named Hotel Deyzor. It was a cosy and comfortable room with clean washroom and cordial staff. I visited the Kibber village (claimed to be the highest motorable road in the world) and hogged on to some Tsampa at a local joint. The infrastructure of the Kibber village is strongly influenced by Tibetan architecture. The houses here are made out of stones instead of mud and bricks. I spent some time strolling down the streets and interacting with the locals and exploring the beautiful village of Kibber. We visited the key monastery which is located on top of a hill at 4166 meters above sea level. It is the biggest monastery of Spiti Valley and a religious training centres of the Lamas. The place gave a very soothing and sedate feeling where you just want to sit back close your eyes and feel the positive vibe around. We then spend our evening tuning in to the guitar, hogging on a lot of momos and the local beer to go by. I got up a bit late in the morning after too much of beer the last night and decided to explore the market. You get a wide variety of immaculate quality of shawls and woollen garments. The quality of the products is unmatched and if you bargain right you will get a great deal for a reasonable price. In the evening I visited Komic village. The place is more like a small hamlet and has a small beautiful monastery. The things that really fascinated me were the fossils. This place is also known as the village of fossils. The villagers tempt you to buy fossils but don’t fall for it as it is illegal to carry them back. I then came back to MY room at night and spent my night there. The morning I reached Pin Valley and visited the Kungri Monastery. The monastery is right in between the middle of the desert landscape and behind the monastery flows the Pin river. The place also has many snow leopards and Alpine Ibex. If lucky you might spot one. I didn’t but you never know you just might if you visit this beautiful place. I decided to visit the Tabo village to just lay back and relax. I stayed at a local small hotel and tried out the local traditional Tibetan butter tea. It was amazing. The journey from Tabo to Sangla village was long and tedious and finally, after riding for almost 5 hours, I reached Sangla village and checked into a small hotel. I then spend my day visiting the alluring Badri Temple, Mata Devi Temple and Bearing Nag Temples. I also visited the magnificent Kamrufort which has been embellished out of wooden carving. I visited the Shoja Village the next day early in the morning and stayed over at a budget homestay. This halt was there to take a break and rest my body after hours and hours of long bike rides. 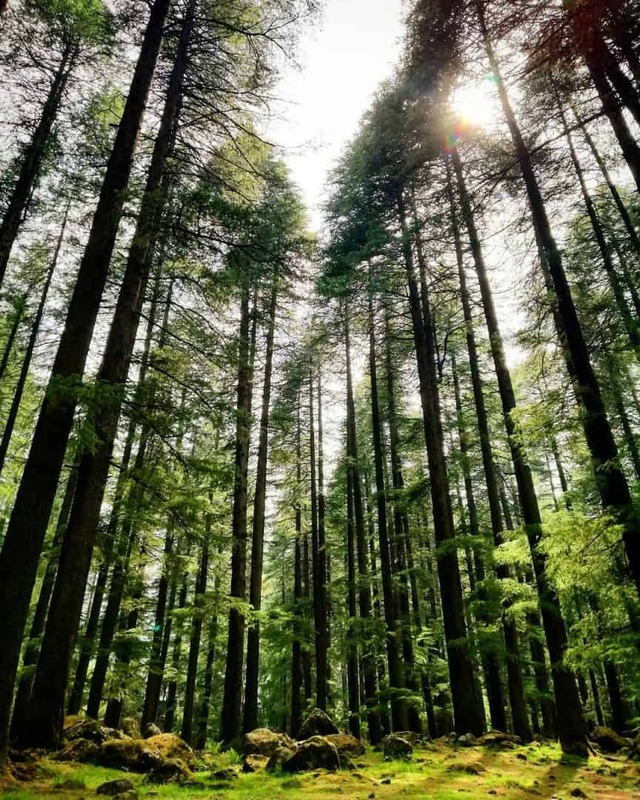 Shoja village is an alluring place with verdant greenery and the chairs and tables around here are made out of tree trunks.I spent the first half of the day relaxing at my homestay. In the evening I just strolled around the village enjoying the lush greenery, fresh air and the calm and composed atmosphere. The next morning I left for Manali passing through the beautiful Tirthan Valley. The ride almost felt like a dream with mountains kissing the clouds, verdant greenery consisting of a long stretch of pine trees. This was definitely a very difficult goodbye, memories of which will be cherished and relished throughout my life. Required to rent a bike. Required to get the permit to enter Rohtang pass, the permit is usually easily available but you need to take the permit a day in advance which is available online. The place you renting your bike from will help you get the permit. Foreign Nationals are required to get the inner line permit (ILP) for visiting places such as Khab, Samdo, Dhankar, Tabo, Gompa, Kaza, Morang and Dubling. Leather jackets, knee and elbow pads, round helmets, gloves, comfortable and tough shoes. Woollen clothes, thermals, gloves and round woollen caps. Along with the culture and the lifestyle, the Tibetan silver dominates the local cuisine of Spiti. Barley is one of the top crops to grow and sustain the strenuous and cold conditions in the region. It is one of the biggest source of food in Spiti. I tried out the luscious Tsampa, a local breakfast porridge made out of barley flour. The local beer and whiskey both made out barley, gave me the right warmth in that freezing weather. You also get steaming Thukpa (noodle soup) and momos everywhere around in this area and believe me it is a soul pleaser and tastes heavenly. Last but not the least you must try the authentic butter tea (tea which has salt instead of sugar) but tastes great. Is Spiti Safe for Women Backpackers? Spiti Valley is extremely safe for women. Even though the voyage to this beautiful place is filled with difficult roads and unpredictable weather, the hospitality of the people is unmatched. Many women backpack to this beautiful place annually. In fact, we met a 22-year-old girl from Delhi who was travelling solo to Spiti and like her, there are many more who love nature and adventure. They visit this beautiful place every now and then, making it on their own. So be it solo or with your girl gang, if adventure is your calling then you must take a visit to the magical place. 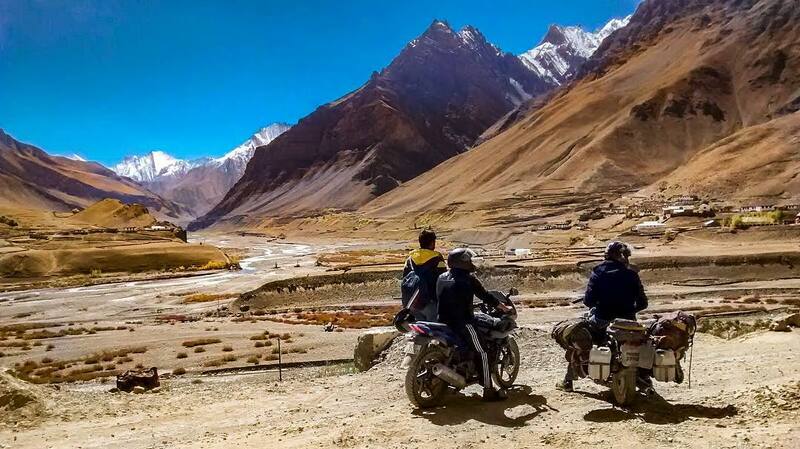 If motorbiking is your passion and adventure is what you crave for then a bike trip to the magical land of Spiti is a mandate. The virgin beauty, great hospitality and a picturesque landscape will leave you craving for more and you will take a part of Spiti along with you and treasure it in your memories till the end. Akshay Shetty hails from the "city of dreams" Mumbai in India. He is a banker by profession and traveller by heart. He strongly believes that life is short and the world is wide and so he must palpate and experience different geographies across the globe. 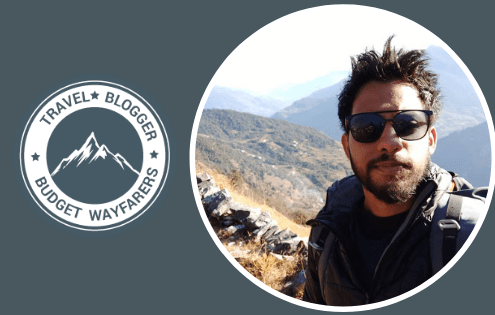 THIS POST ENTITLED, “Travelling to the Surreal Land of Spiti: A Biker’s Itinerary” IS AN EXCLUSIVE PROPERTY OF BUDGET WAYFARERS. ANY INDIVIDUAL OR ASSOCIATION INDULGING IN PLAGIARISM WILL BE DEALT WITH STRICTLY. IF YOU WANT TO USE INFORMATION FROM THE ARTICLE ABOVE, KINDLY QUOTE THE SOURCE.